Confession: I have a slight obsession with pinning recipes on Pinterest. I usually try most of them, believe it or not. When you are feeding a family of five you have to keep things interesting. Most of the recipes I try are dinner recipes, but yesterday after working on several work projects and battling the car pool line at my daughters’ school, which incidentally seems to lose all manner of civility and sense when it’s raining, it was time to bake. This is not a mood that strikes me often (maybe there is a full moon? ), but the kids sure seemed to appreciate it. 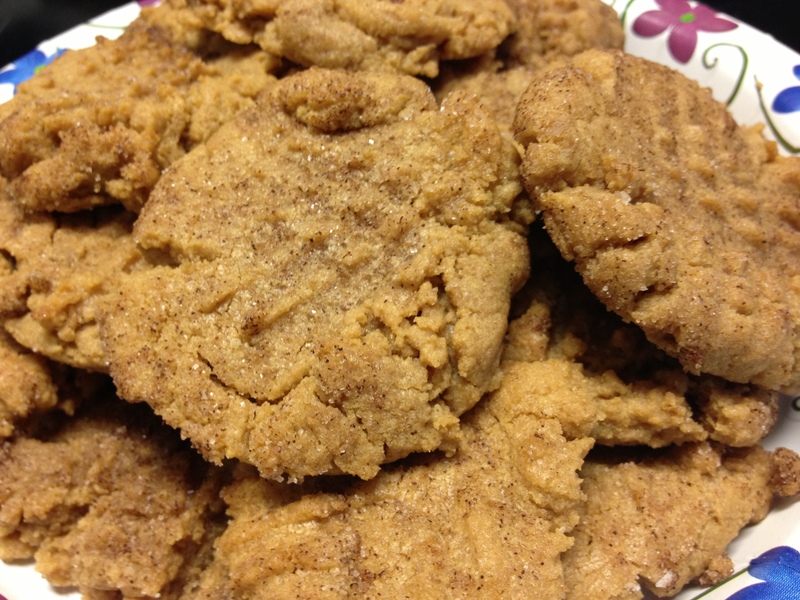 We went right to Pinterest and found a recipe I’d pinned for Flourless Chewy Cinnamon Sugar Peanut Butter Cookies (originally shared on the blog Foodie Crush). We had all of the ingredients on hand and it sounded delicious, so it was an easy choice. 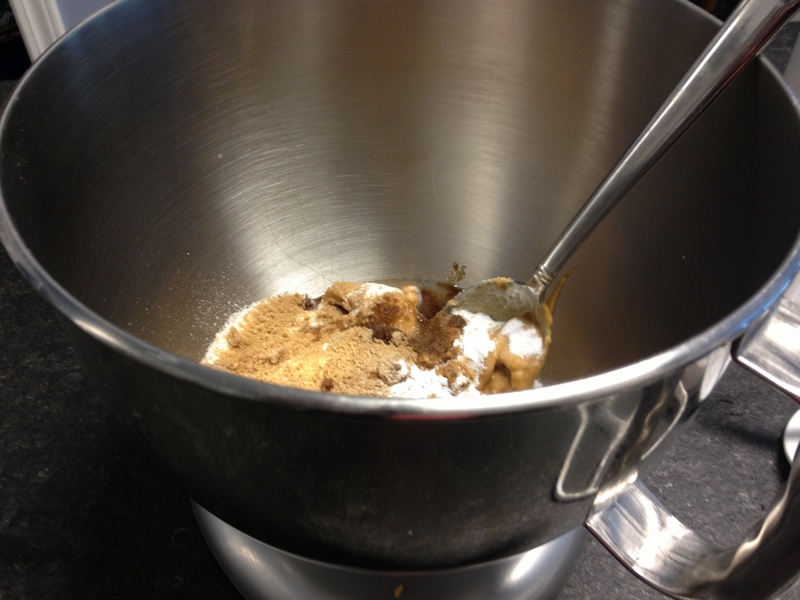 The girls helped me add the ingredients to the bowl of the stand mixer. After a quick blend, the dough went into the refrigerator for an hour. Keeping the kids busy and focused on doing homework during this hour was the hardest thing about this recipe. After an hour, we rolled the dough into balls, coated them with a cinnamon and sugar mix and popped them into the oven for the 8-9 minutes indicated in the recipe. We let them cool for a few minutes afterward, then wah-la, delicious snack! These cookies were good and a hit with all the girls, but they are definitely sweet. It is a sugar-intensive recipe, so that was to be expected. The original pinner noted that the recipe is vegetarian and gluten free, so it may appeal to those with special diets. This was my second attempt at flourless cookies. The first, some sort of oatmeal and mashed banana concoction, was a disaster. I’m sure there are better variations I’d know if I baked this way often, but I don’t. In fact, baking yesterday’s yummy flour-less peanut butter cookies reminded me of a vegan birthday cake our family ordered for my brother-in-law’s birthday last summer. We purchased the cake from La Loba’s Bakery in Santa Rosa Beach, Florida, where we were spending the week for an extended family vacation. I don’t think I would have ordered a vegan cake had we not had a vegan in the family, but it was better than I expected. For vegans or anyone seeking out organic food in the South Walton County area, I’m sure this place is a boon. Do you like to bake? Would you bake on vacation? Enter your email address to follow Sand In My Minivan and receive notification of new posts by email.